High-tech cryogenic equipment supplier Cryostar has opened a new mobile LNG fueling station. 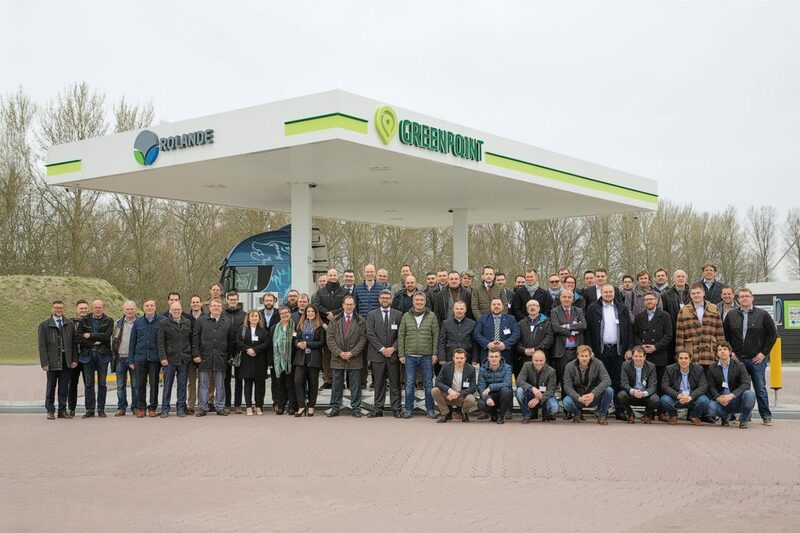 The French company launched the first Fueling-Deploy concept, and Cryostar’s 100th station out of 114 stations supplied thus far, at the Green Point Rolande service station in the Netherlands on March 21. The station incorporates Cryostar’s latest technological breakthroughs in the market of natural gas for mobility. With more than 110 fixed LNG fueling stations installed throughout the world, Cryostar met the challenge of facilitating the optimized distribution of LNG in order for it to be available where the customer needs it and at the best time. “An impressive and very interested crowd gathered to witness our first LNG Fueling-Deploy station in operation, and it was an event to be remembered, demonstrating the power of our established partnership with our long-term loyal customer Rolande,” said Samuel Zouaghi, Cryostar’s President. “The station’s main features are its compactness, modularity and transportability. Our Fueling-Deploy station is the ideal solution for our customers wanting to enter this field or develop business in it. Combining rapidity and low implementation costs, the FUELNG-DEPLOY station is supplied as a turnkey solution and can either be installed alongside an existing standard station or used to equip a new site,” he added.